I did warn you that there would be a distinct fixation on Icelandic bands in the early stages of this feature – but you might not immediately guess that Retro Stefson came from those chilly climes upon listening to their music. Though debut record Kimbabwe definitely has its moments of brilliance (the anarchic afro-pop of ‘Kimba’ is particularly excellent), it’s on their most recent, self-titled effort that the band have truly begun to shine. From the blissed-out groove of opener ‘Solaris’ to the way ‘She Said’ just oozes confidence, Retro Stefson is a hit-packed record – the strutting electro-pop of ‘Qween’ and the impossibly infectious chorus of ‘Miss Nobody’ are just some of the other highlights. In terms of UK goings-on, Radio 1’s Huw Stephens is clearly a fan of the band, having booked them in for a session at Madia Vale studios over the summer, as well as giving them a slot on his hand-picked lineup for the Lake Stage at Latitude Festival. While the band don’t have any UK shows lined up at this exact moment in time, hopefully the exposure they gained over the summer will see them hit our shores again sooner rather than later. Maybe in a joint tour with FM Belfast? Now that’d be a party and a half. Retro Stefson is out now on Les Frères Stefson / Republic Of Music records. For more information about the band, check out their official website. At their debut performance at Fibbers playing main support at The Rodeo Falls’ headline show, Freaks + Geeks quickly established themselves as one of our city’s most exciting new bands, and have only gone on to live up to that reputation at numerous gigs since then. Though the band itself is relatively new, its individual members may be familiar to you. Stu Allan (guitar/vocals) is the long-time frontman of The Blueprints, Sophie McDonnell (baritone guitar/vocals) now plays keyboard in that very same band, as well as being known as a solo performer and frontwoman of Hot Fudge, and you may well have seen Loz Goodacre (drums) playing the skins for Gaz Rowntree And The Silent Sea. Clearly they’re not ones to mess around, as they’ve already recorded a three-track demo EP at York’s Melrose Yard Studios – you can hear the fruits of their labour below. The band’s songs combine the intensity of garage-rock with some White Stripes-esque flourishes and the indie-pop nous of Sky Larkin to create an instantly pleasing result. The EP flows from the breakneck pace of ‘Pulp’ to the anthemic ‘A Little Longer’ via the soaring vocals of ‘Patchwork’, demonstrating that they’ve clearly more multi-faceted than your average indie-rock band. You can catch the band live in action in both York and Leeds this week – the Leeds show is at Milo’s on the Thursday 19th September (that’s tonight, if you’re reading this the day it goes up) and the York show is at The Woolpack on Friday 20th September. Both of these shows are freebies, which is always a bonus. Understandably, that may be a little short notice for you, but you can also catch them at Holy Trinity Church in Leeds on Saturday 5th October, and at The Fulford Arms in York on both Saturday 12th October and Wednesday 13th November. 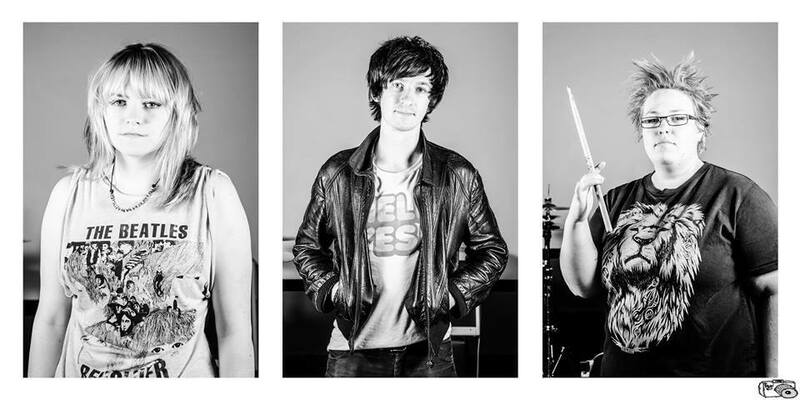 I’d recommend that you get down to any of these gigs if you can – Freaks + Geeks are already packing punchy songs and big ambitions, and they could well be going places sooner rather than later. Check out Freaks + Geeks on Facebook here. 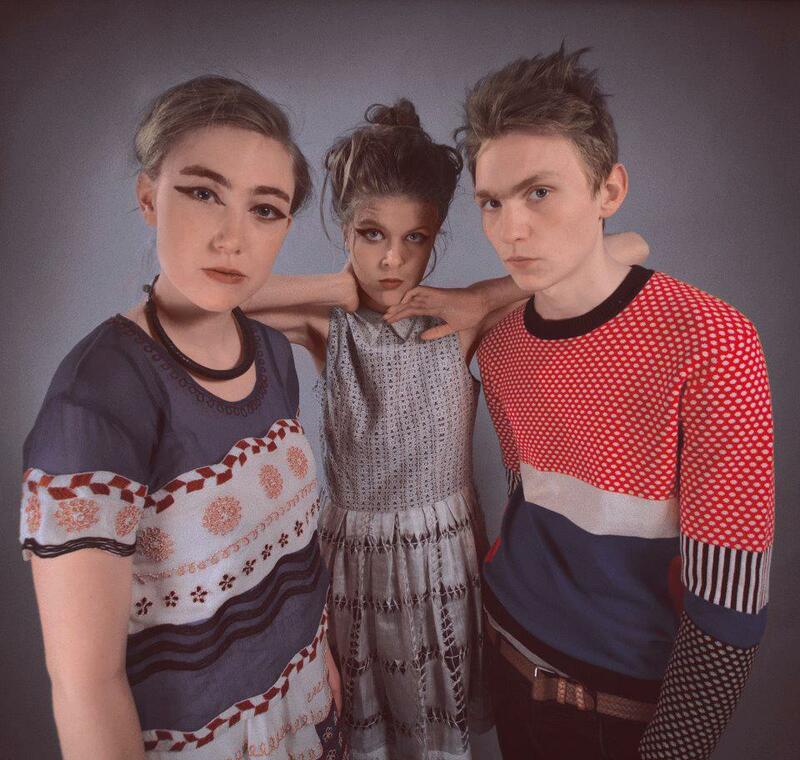 Anyone who was lucky enough to be at last year’s Iceland Airwaves festival will surely have heard the buzz around Samaris – a unique trio making the kind of glacial electronica that could only have come from Iceland. Comprised of vocalist Jófríður Ákadóttir (who is also one half of Pascal Pinon), clarinetist Áslaug Rún Magnúsdóttir, and electronic musican Þórður Kári Steinþórsson, Samaris make music that sounds a little like a meeting of minds between Björk and Fever Ray. Watch the video for the mesmerising ‘Góða Tungl’ below. The band have recently begun to attract attention outside Iceland, with The 405 and The Line Of Best Fit among others picking up on their self-titled debut UK release on One Little Indian. Samaris is a compilation of two EPs that were previously only released in Iceland – Hljóma Þú and Stofnar Falla – and sets the words of 19th-century Icelandic poets against a backdrop of trip-hop/dub influenced electronica and haunting clarinet motifs, with Jófríður’s enchanting vocals completing the band’s otherworldly sound. The band played their first UK show back in June in London, and after making festival appearances at Sonar, Electric Picnic and Berlin Music Week, they return for two dates in the UK next week. First up is a gig at Gorilla in Manchester on Tuesday 24th September, supporting the wonderful Jon Hopkins and Lone. Then on Thursday 26th September they play The Lexington in London along with Eye Emma Jedi from Norway and Satellite Stories from Finland. A new album from Samaris is scheduled for release before the end of the year, but for now I would implore you to listen to their debut release – it really is an unconventional and incredible record that marks an extremely promising beginning for this young trio. Samaris is out now on One Little Indian records. For more information about the band, check out their official website. Evening all. Just a quick one to update you on a few things I have planned for this blog over the coming months. It’s fair to say it’s been a little neglected, as I’ve been busy with other things (and, let’s be honest, I’ve probably been a bit lazy too). So, I’m going to do a couple of things to try and motivate myself to get a regular stream of content going again. Firstly, I’m going to revive my Local Artist Of The Whenever feature on a more regular basis – recently there have been many new bands cropping up in York who are more than worthy of discussion, so it’s not as if I’m short of material for it. Secondly, I’m going to start a second feature along the same lines, but for international bands who don’t yet have a great deal of recognition in the UK. Fittingly (or lazily) it’s going to be called International Artist Of The Whenever. I’ll warn you now that a lot of the early articles in this feature will probably be about Icelandic bands (largely due to the fact that I’m going to Iceland Airwaves at the end of October) – but that’s no bad thing, as you’ll soon discover if you keep an eye out in the coming weeks. These two features will be part of some vague attempt to keep some sort of regular schedule – namely, I plan to do at least one article for either of those two features every week. Ideally, you’ll get both most weeks, but I’m pretty bad at updating this blog as it is, so baby steps first. That’s all for now folks – stay tuned, hopefully the aforementioned regularly scheduled content will start rolling out this week. 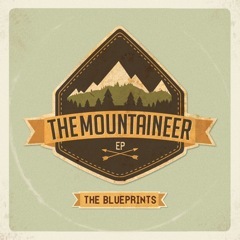 York indie-pop favourites The Blueprints have wasted no time following up their 2012 EP The Shipping Forecast (reviewed here) – it’s not even 12 months later and they’re set to release a second EP entitled The Mountaineer this week. It’s also worth noting that there’s been a line-up change since I last discussed the band, with Sophie McDonnell stepping in to replace departing keyboardist Tom Williams. Sophie is no stranger to the world of The Blueprints, however, as she already featured on The Shipping Forecast’s ‘Black & Blue’. You can now stream the new EP via bandcamp using the player below, so get to it! If opening gambit ‘Laws Of Nature’ seems familiar then it’s probably because it has an air of The Blueprints’ own ‘Walk’ about it, which is certainly no bad thing. A similarly pacey number to its predecessor, its driving verses lead in to some wonderful three-part harmonies in the chorus – which, perhaps, could be cheekily re-appropriating the words from Radiohead’s ‘Electioneering’. The song ends with an anthemic “woah-oh-oh” finale, which if you were feeling churlish you might call indie-pop-by-numbers – but if that was the case, would the result be such a pretty picture? No, that’s what I thought. Next up we have ‘Another Breakdown’, which is perhaps the most upbeat song concerning depression that you’ll ever hear, with its swelling guitar and implacable rhythm section giving it a feel that’s anything but morose. The positive tone is aided by the fact that the song ends on a determined note – “It takes a long time to make a little bit of difference/But a little bit of difference lasts a long long time.” The record has some great lyrical hooks throughout, but ‘Skeletons’ is perhaps the pick of the bunch, with numerous memorable lines that contrast the similarities and differences between people. It combines the realisation that we’re all “carbon, red cells and DNA” while observing the way someone stands out from the crowd – “how is it you stand up and shout/when others barely have the courage to speak above a whisper?” Elsewhere, attentive Blueprints fans my recognise ‘Echoes’ from the demo version that appeared on the band’s Neon Sketches EP in 2011, but it’s much more fleshed out here – the piano takes the lead to add some muscle to the sound, while additional melodic flourishes come in the form of more beautiful harmonies. Anyone who wants more of the catchy, guitar-led songs that are the band’s calling card will find that The Mountaineer satisfies that urge admirably – indeed, it seems that the recent line-up change has only served to aid them in honing their craft even further. But perhaps the most exciting thing about this EP is that, in ‘Icebreaker’, it contains the first realisation of a previously hidden ambitiousness in The Blueprints. Should the band aspire to make a full-length record, then there’s no doubt that everyone (myself included) would be more than satisfied with an album of 10-12 indie-pop tunes – but I can’t help but wonder if their best moments might come from thinking outside of that box. If you’re free in York on Saturday 14th September then the band are playing an EP launch show at Fibbers, with support coming from The Lottery Winners, Bull (who I really should get round to writing about), The Buccaneers and JLife (who thankfully are not some sort of hybrid JLS/Westlife tribute band). Sadly I am not free and this disappoints me greatly – so do me a favour and go in my stead would you? The Mountaineer is released on September 14th on Sweet Sue Records.